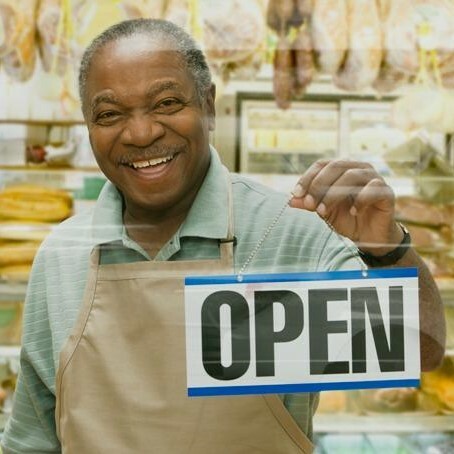 The small business market is big. The U.S. small commercial market represents about one-third of the total commercial lines market and generates between $99 billion and $103 billion in direct written premium, according to a 2016 McKinsey & Co. report. It could be a much bigger market as more businesses are being started. Since 1994, the United States has had an average of 400,000 business startups a year. Business startup activity was up again in 2016, continuing a three-year ascension and reaching pre-recession levels, according to the 2017 Kauffman Index of Startup Activity, from the Ewing Marion Kauffman Foundation. In 2015, new startup firms that created 2.5 million jobs. The number of startup firms — firms one year old or newer — rose to 415,226 in the year ended March 2017, according to the Bureau of Labor Statistics. Also, there is an insurance gap. Many small businesses have been caught without flood or business interruption insurance and many more report that they are not buying cyber insurance. But the gap is even bigger than that. The McKinsey report found that almost 40 percent of U.S. sole proprietorships don’t carry any commercial coverage. Digital small business insurer Next Insurance surveyed 30,000 small businesses and learned that 44 percent who have been in business for at least a year have never had insurance. However, the largest carriers are moving quickly to secure their positions, McKinsey said. In the past six years, the market share of large carriers with more than $2.5 billion in direct written premiums for U.S. small commercial has increased by 12 percentage points from 2009, suggesting that scale is an important driver of growth, McKinsey said. Large carriers now represent 51 percent of premiums in the one to 29 full-time employee group of small businesses. For every incumbent insurer committing to agents and the small business market like Travelers, Chubb, CNA and The Hartford, there is one investing in or partnering with online platforms that bypass agents and brokers. In addition, there is a growing number of tech-oriented online brokers focused on small commercial lines including Embroker, Next, Bunker and CoverWallet to name a few. Carrier positions vary within the small business segment because small business accounts range widely in size and scope, says Craig Welsh, distribution leader at Westfield Insurance Co., an Ohio-based independent agency property/casualty carrier, ranked No. 13 on Insurance Journal’s Super Regional P/C Insurers™ list developed by Demotech. Insurance Journal discussions with agents and carriers unearthed five strategies for succeeding in the small commercial lines segment today: rearrange and redefine; utilize service centers; specialize; upgrade technology and stay committed. However, small business can be larger premium accounts, too, he said. Mitchell admits some carriers are much better at service centers than others. “But I think the overall key is that when a client is first written it has to go to the service center then. It’s very difficult to write a client and give it the personal service that we deliver to our clients from an agency standpoint and then the next year say, ‘Oh, well, you’re going to a service center,’” he said.